Mixcraft 5, General Sequencer from Acoustica. Product replaced by the Acoustica Mixcraft 6.
eckko034's review (This content has been automatically translated from French)" Excellent sequencer"
My PC is a Quad Core I7 2600 K + 16GB RAM + GTX 570 NVIDIA with dual 24-inch screen. The software configuration is rather stable ... Beware of some heavy style VST Spectrasonics Omnisphere is that we must allow time to load before handling its funds. I use it for 3-4 years. The visual interface is very user friendly, very comfortable. The manipulation of the software is very fast and intuitive. 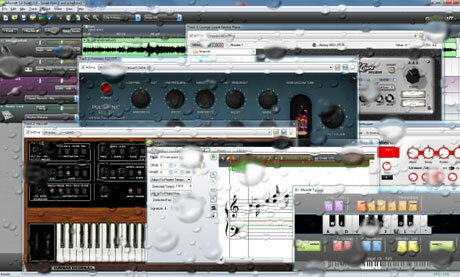 With experience I'll keep this software even if I use another sequencer "says" professional. Mixcraft is far from being ridiculous in terms of audio processing. 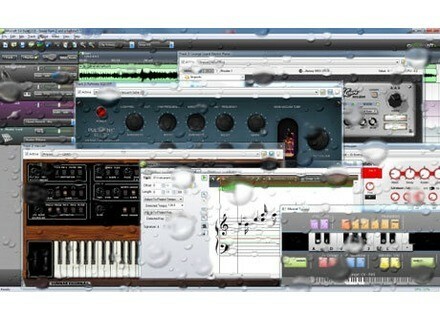 It handles very well and VST / VSTi, wav acquisition as professionally as the 'professional' sequencers. jico27's review (This content has been automatically translated from French)" I recommend"
However the driver does not wave RT extraordinary results in relation to ASIO. I used it for 2 years after having tested quite a few others. Like the early establishment. I do not like the difficulty in selecting a particular plugin in a list can be very long and poorly ordered. 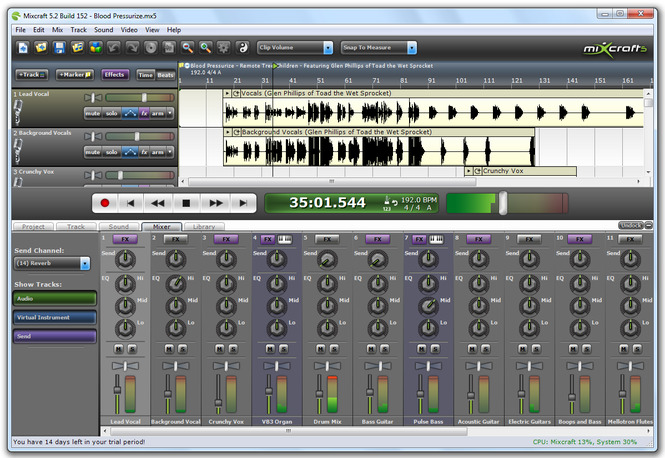 Mixcraft is a great product to record ideas on the fly or entire projects. Ready in a few clicks it also has an arsenal of quality plugins (which can add his own) that allow the conduct of a comprehensive plan to burning. Micraft I use 3 to 4 and now 5 for 2 years is a very intuitive software and we quickly obtained the correct results for an amateur, of course say. I had 5 of the Live Line 6 and I never could get used to it. windigo's review (This content has been automatically translated from French)" Good alternative." Software is not enough known. Very easy for all. no inconsistency. He holds his head high in a lot of sequencers loops much more expensive! I bought a handful of $ and I went to the Pro version for some extra $! That more quality advances, continue like that. Acoustica has updated Mixcraft to v5.1 b139.